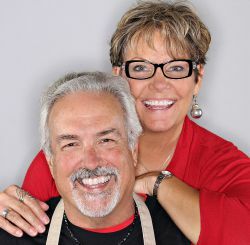 Hi there… we are Sam & Linda Goldfarb. We’ve been married to each other for more than 25 years, we have four children and 6 grandchildren… and are proud to be the parents of a College golfer. Sam Goldfarb Jr. and I (Linda) are very active in the life of our youngest son who has been playing golf since he was five years old. Our desire with this interactive blog is to provide insight, coaching and encouragement to build up and transform relationships between parents and their Junior Golfer. As a previous Junior Golfer himself, hubby Sam has an extensive legacy in golf including his father, Sam Goldfarb Sr.’s involvement in rejuvenating the bankrupt Texas Open in the early 1940’s. Sam Sr even brought in Bob Hope and Bing Crosby to help publicize this great Winter PGA Event which continues today to bring in top qualifying golfers into San Antonio. Sam Sr. was asked to run the Texas State Junior Golf Championship by the San Antonio Light Newspaper in 1946. So he took care of the ‘State Junior’…as he called it, until 1972 with the help of his wife Dorothy Goldfarb, Brackenri dge Golf Pro, Murray Brooks and several dedicated friends. We are proud to announce the induction of Sam M Goldfarb Sr. into the Texas Golf Hall of Fame – in the Pioneer category in October 2012. Hubby, Sam Jr. was handed one of his first clubs by Bob Hope at the age of five and participated as a Junior Golfer through high school, yes… golf is a family thing! My (Linda’s) background as a certified fitness specialist, certified personality trainer, and certified life coach (specializing in relational transformation) as well as walking the course as a caddie-mom, riding the cart as spectator-mom, and dealing with the trauma and triumph as a golfer’s mom many times over the course of 12-years…with Sam III has me filled to overflowing with info I’m loving to share with you! Oh, I’ve also joined a local ladies golf team and I’m living the game as a player now! Successful Parenting is About Results! 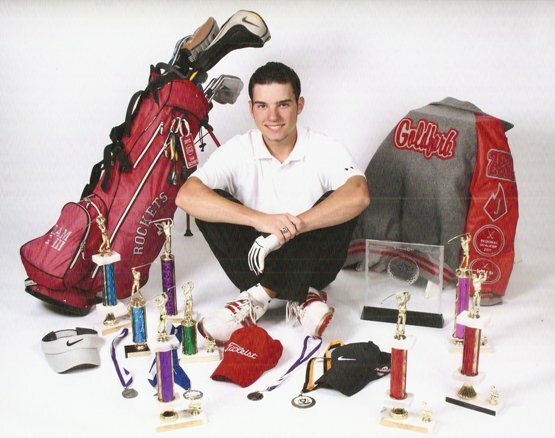 Sam III began college on a golf scholarship in the Fall of 2012… his journey has been one of ups and downs like most Junior Golfers. We believe what sets him apart and has aided in his success has been our purposed, proactive and persistent participation as parents… we look forward to sharing with you what we have learned. Take a moment to download the PJG flyer QR to share with friends! Now get out there, have fun and see you on the 1st Tee! Linda and Sam aka your golf-parent coaches.